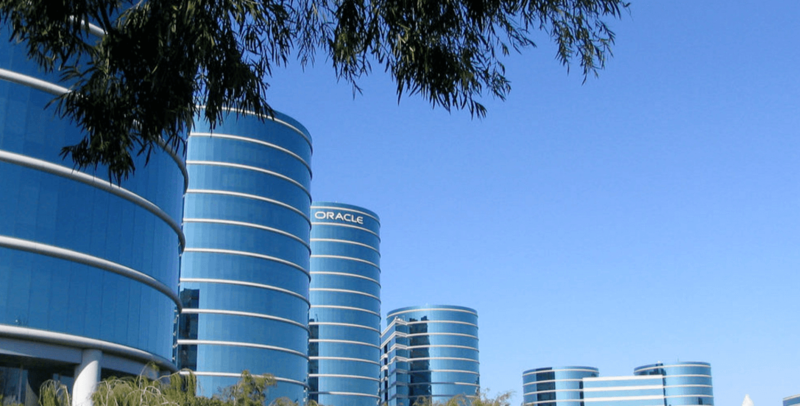 tl;dr: Oracle has big goals for cloud profitability. Are its aspirations too bold? When Oracle’s Mark Hurd suggested to Bloomberg his software as a service (SaaS) and platform as a service (PaaS) business would achieve 80 percent margins, I did a double-take. Was that an unreasonably high expectation? Typical Oracle bluster? As it turns out, Oracles goals are within industry norms, although certainly on the higher side. As many startups have learned, you can make some good money in the SaaS business after you get past the initial cost of doing business. As Hurd pointed out, much like hotelier, you have to build the hotel before you can start renting rooms. The same is true in the SaaS business; you have to build your software and the infrastructure to house it. Some businesses rely on others, like AWS, Microsoft, or Google to run that infrastructure, but Oracle wanted to build its own, and that resulted in some big up-front costs. “A little bit of the issue in cloud is that you have to invest before you get revenue, so if you went back like even two years, our margins in what we call our SaaS/PaaS business were, I don’t know, 39 percent two years ago. We predicted that they would start to move towards 80. In the last quarter we were at 62,” Hurd told Bloomberg. We asked Deepak Jeevankumar, a partner at General Catalyst, who has invested in his fair share of SaaS startups, to define gross margins and operating margin, especially as they relate to the cloud. It’s worth noting that most companies don’t explicitly state their operating margins. That leaves us with gross margins as a benchmark for Oracle’s cloud aspirations. So is Oracle being realistic when it shoots for 80 percent? “The range for Gross Margins for cloud business vary from 45-90% with the vast majority in the 60-75% range. Gross Margins tend to improve over time as hosting costs and customer support costs are lower per customer on scale,” Jeevankumar said. Looking at a couple of cloud companies, Adobe had gross margins of around 90 percent before 2013 when it switched to a cloud model cold turkey. After a brief down period, when the company was presumably building out its cloud infrastructure, its gross margins recovered to over 85 percent. A better example is Oracle rival Salesforce, which has been a SaaS company from day one. Its gross margins are consistently running in the 75 percent range. Slow downward trend over time aside, Salesforce’s gross margins have shown resilience above the 70 percent mark for years. Oracle believes it can continue to make the same money it made on-prem by folding the lucrative maintenance contracts into its subscription pricing. In Hurd’s view, when a customer moves to the cloud, a few things happen to drive revenue. “We’re now doing more for the customer. We’re providing hardware. We’re providing all of the infrastructure, the data center, the staff, so actually our support revenue would go up,” he said. That could be true, but it’s more likely that the company will have to compete hard on price with other similar vendors, making it much more difficult than Hurd would suggest to achieve the high gross margin goals the company has set for itself. As many startups have learned, it might have to spend more money to acquire that SaaS customer, especially initially. Either way, at least he can point to similar organizations as examples, and know that he’s not out of line with industry norms. It is possible for an old-school company like Oracle to achieve the same margins as a young startup. Featured Image via Flickr user Peter Kaminski under CC BY 2.0. Image has been cropped.